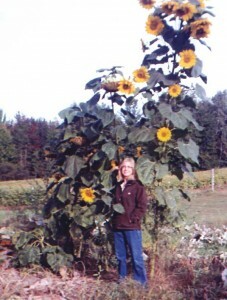 Barbara Kilts, of Solon Township, sent along a photo of her standing next to a giant sunflower in her yard. We don’t know how tall it is, but Barbara is at least 5-foot 8-inches tall, so we know it’s a big one! Barbara planted the sunflower, and now she is drying the seeds for the birds. The family of Betty Kilts would like you to help us celebrate Betty’s 80th Birthday on May 14th at Cedar Springs United Methodist Church at 140 South Main St., for cake and ice cream from 2:00 pm to 5:00 pm. No gifts please.